Sign in to your HOLLYWOOD PANTAGES ACCOUNT (powered by Ticketmaster). There are 4 ways to exchange your season tickets. Click MORE INFO to submit a form. Open daily 10am - 6pm. PLEASE NOTE: The box office may be closed on specific holidays or for other reasons. It is always best to confirm business hours before your visit by calling 323-468-1770 (recorded information). The Box Office does not take incoming calls. 1. Applicability. Unless otherwise indicated, these season ticket terms and conditions, as well as any supplemental terms and conditions that the Hollywood Pantages Theatre (“Pantages”) may provide from time to time in the future, apply to the person or company in whose name the season ticket account is held (the “Account Holder” or “you”) and all persons who use the Account Holder’s tickets as the Account Holder’s guests or otherwise. 2. Risk of loss. Upon receipt of your tickets for any full or partial season ticket subscription (including any additional single performance tickets purchased in connection with the subscription), risk of loss of the tickets shall pass to you. If your tickets are lost or stolen, and if you contact the Pantages Box Office at [email protected] at least 1 hour in advance of the performance, Pantages will issue you replacement tickets for the same performance date and seats as on the stolen or lost tickets. You can obtain a mobile version of your tickets anytime by visiting HollywoodPantages.com/MyAccount. The theater shall not be obligated to admit you or your guests to a performance unless the original or legitimate replacement tickets are presented at the time of the performance. 3. Revocable privileges. All tickets (including all season tickets and any additional single performance tickets) are personal privileges that, except as otherwise provided by law, are revocable at will in the sole discretion of Pantages. Tickets may be revoked with or without cause, for reasons that include but are not limited to improper conduct by you, your guests, or other holders of the tickets, and non-usage of the tickets. Should Pantages revoke any tickets, Pantages will refund you the amount paid for revoked tickets for future performances. 4. Cancellations. Should Pantages or the producer of a show (“Producer”) cancel, without replacing, a show included in your season ticket package, Pantages may provide you a refund of the face value price of the tickets for the cancelled show. However, your season ticket package will not otherwise be affected. Season ticket packages, including tickets for any individual show or performance, are not otherwise refundable except in Pantages’ sole discretion. 5. Exchanges. If you cannot attend a performance on the date of your tickets, you may be able to exchange your tickets for another performance of the same show. All such exchange requests must be made at least two business days before the earlier of the performance date on your tickets and your requested alternative performance date either online, by phone or in person at the box office. All such requests are subject to availability of tickets for the requested alternative performance date. Any additional charges incurred in connection with the exchange request—for example, any increase in ticket prices due to a more favorable seat location or higher priced performance date—will be charged to your credit card upon processing of your request. No refunds or credits will be issued in the case of exchanges to lower priced tickets or performances. 6. Renewals. Although Pantages anticipates that Account Holders will have the privilege to renew their season ticket subscriptions for the next season (including through the Pantages’ auto renew program), such renewal privileges are extended at the option and in the sole discretion of Pantages and may be revoked or cancelled at any time for any reason. As well, Pantages in its sole discretion and for any reason may change the seat location(s) previously assigned to any such subscription. All tickets not purchased by the renewal deadline date indicated on your season ticket renewal invoice or online promptly will be released by Pantages for sale. 7. Behavior. 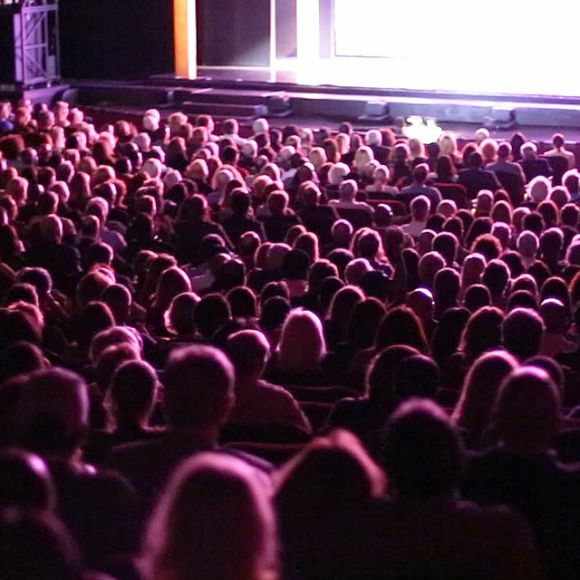 In addition to any restrictions imposed by applicable law and the rules of the theater (if other than the Pantages) in which a show is presented, disorderly conduct, smoking (including use of e-cigarettes) inside the theater, use of mobile devices during the performance, and any recording or photographing of the performance are strictly prohibited. Also, outside food and beverages, large bags, professional cameras, weapons, illegal drugs, and other contraband are not permitted inside the theater. No large bags or luggage will be allowed into the theatre. Make plans to store them off site. All ticket holders consent to a reasonable search for such items. Violators of these provisions may be required to leave the theater without any ticket refund, and may be subject to revocation of any remaining tickets in their season ticket package. The seating of ticket holders arriving after a performance begins is subject to Pantages’ and the Producer’s late seating rules, and such seating may be delayed and is at the discretion of theater management. 8. Content and special effects. Some shows may contain profanity and/or explicit content intended for mature audiences, and/or may utilize special effects such as smoke, haze, and strobes. It is the responsibility of you, your guests, and other holders of performance tickets to make their own investigation and determination (based on show summaries, reviews, and other available information) of whether the show is appropriate for you and them, including whether any of you or them will be offended or negatively affected by the show’s content or special effects. When such concerns arise, Pantages will endeavor to accommodate requests to exchange tickets for another show, subject to ticket availability, so long as you contact us reasonably in advance of the performance of concern. 9. Force majeur. Pantages and the Producer are committed to presenting quality touring Broadway productions and other shows. However, given the nature of live theater, Pantages and the Producer shall not be responsible for any sound quality issues, special effects malfunctions, other technical difficulties, the use of understudies or other substitute performers, fire alarms, other loud sounds outside the theater, or any other force majeur event outside Pantages’ and the Producer’s reasonable control. 10. Seat location. 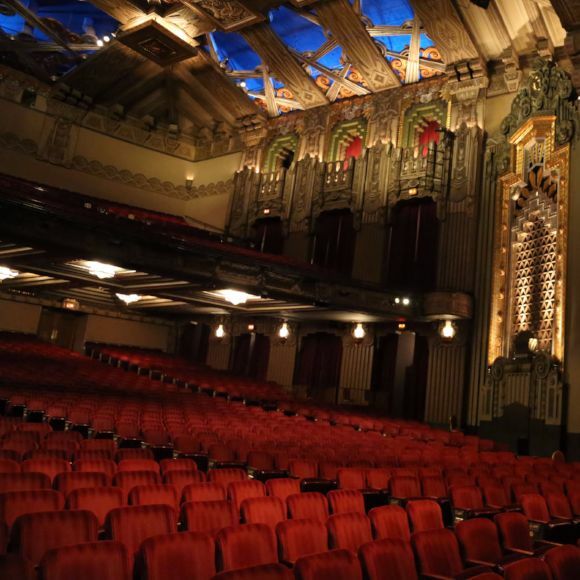 Allocations of seat locations for season ticket packages are made from, and subject to, available seat locations as determined by Pantages in its sole discretion. Your seats may be relocated for a particular performance if necessitated by production design requirements, due to limited or obstructed views, or for other reasons. In such cases, you will be contacted to be relocated to the best available seating. No refunds will be provided if your seats need to be relocated. 11. Risks. You, your guests, and other holders of performance tickets assume all risks and dangers of personal injury or property damage arising from or related to the performance. Each and all of you expressly release Pantages, The Nederlander Organization, and the Producer, as well as their affiliates, subsidiaries, sponsors, successors, assigns, officers, employees, contractors, and agents from any and all liability or claims for any such personal injury or property damage. 12. Payment deadline. All payments for season tickets are due by the payment deadline(s) set forth in your season ticket subscription invoice or online. Failure to pay by the deadline(s) may result in the loss of your season ticket purchase opportunity and the loss of any future season ticket benefits. You agree to abide by the refund and exchange restrictions applicable to your tickets. Without limiting the foregoing, you agree not to seek any refund or exchange unless specifically allowed by these terms and conditions or Pantages’ or the Producer’s policies. You also agree not to dispute any credit card charge or seek any credit card chargeback with respect to valid credit card charges for your tickets. Should you violate these credit card restrictions, Pantages may cancel any tickets purchased with the subject credit card and refuse to honor or allow any pending or future ticket purchases made with the credit card. Returned or dishonored checks may be subject to a handling charge. 13. Personal information. 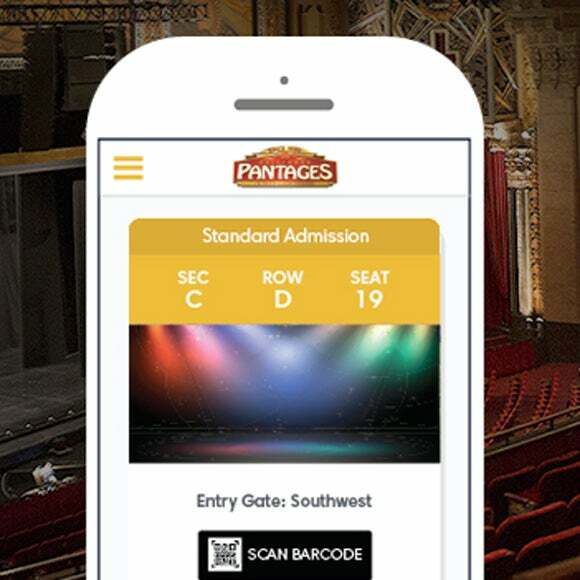 You agree that Pantages may use your email address, street address and/or telephone number(s) to contact you concerning your season ticket package and otherwise to provide you information and special offers Pantages believes you will find valuable. Pantages and its associated business affiliates will not use, sell, or rent your email address, street address and/or telephone number(s) to any third party, except as permitted by applicable law or applicable website privacy policies. You agree to the use of your telephone number(s) by either a real person or an automated dialer to update you regarding your season ticket package or a particular performance, or when contacting you about ticket packages or other offers. Consenting to receive communications such as autodialed communications and text messages on your telephone number(s) is not a condition of your becoming a season ticket holder. If you wish to opt out of receiving autodialed calls and/or text messages, please call us at 866-755-2929 or send an online written request to [email protected] Any calls you make to, or receive from, Pantages may be recorded for quality assurance or other purposes. You agree and consent that any such calls may be recorded. 14. Pricing. The total cost of your season ticket package as stated on the season ticket pricing grid or your season ticket invoice, reflects the sum of the face value price of your tickets plus any service charges, handling fees, and applicable taxes. The face value price stated on your tickets reflects the value of your tickets plus any facilities fees, but does not include any service charges, handling fees, and applicable taxes. As such, the face value price stated on your tickets may be less than the total cost of your season tickets. 15. Seat changes. 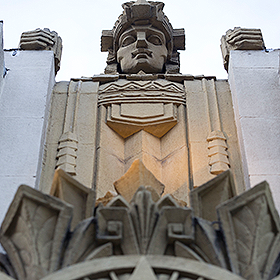 If you are interested in upgrading or otherwise changing your current season ticket seat location(s), Pantages will make every effort to accommodate your request. Such requests are processed only after the renewal deadline for season ticket accounts, only for accounts that are paid in full by such deadline, and only based on tickets that become available through non-renewal or cancellation. As more fully described in your renewal notification, all upgrade and other seat change requests must be submitted through our online process. Additional charges incurred by your upgrade or change request—for example, higher ticket prices due to improved seat locations or higher priced performance dates—will be charged to your credit card upon processing of your request. Upgrades and other changes may not be available in your precise desired location and/or for all performances. If you elect to make seat location changes, your current seat location(s) will be released and made available for other season ticket holder upgrade or change requests. In the event you are not satisfied with your upgrade or change location, we will attempt to find you other options. However, your earlier seat locations are not guaranteed since they already may have been assigned to another season ticket holder. 16. Seat transfers. 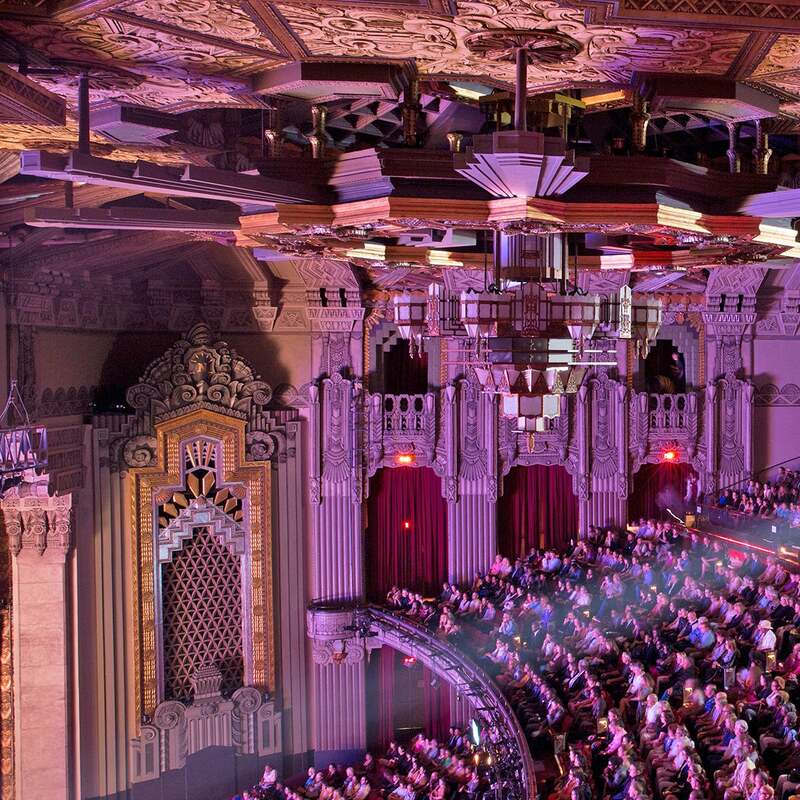 Requests to split seats with another season ticket holder or to change the Account Holder’s name must be submitted in writing by emailing [email protected] In fairness to other renewing season ticket holders, Pantages may not be able to honor all such requests. Pantages may impose rules, restrictions, and conditions on any approved seat or account transfers. 17. Conflicts. In planning each season’s performances, care is taken to avoid scheduling conflicts and changes of any kind. However, prices, shows, dates, schedules, venues, and artists are subject to change without notice. All sales are final, and no refunds will be made for these types of changes except as expressly stated herein. 18. Reselling. Pantages does not permit the reselling of tickets in excess of their face value price through any means other than through authorized reselling programs of Pantages. Violations of this provision by you, your guests, or other holders of your tickets may result in revocation of your remaining season tickets and season ticket renewal privileges. Pantages and the Producer will not be responsible for counterfeit tickets that season ticket holders or others may purchase from unauthorized ticket resellers. Lost or stolen tickets for which replacement tickets have been issued will be voided and not honored. To address improper resale and counterfeit ticket concerns and otherwise, Pantages may implement any necessary procedures for tracking ticket transfers and purchases, including but not limited to a paperless ticket system which may require the ticket holder to present the credit or debit card used for purchase prior to admission. 19. Non-local Season Ticket Accounts. Account Holders located outside Southern California zip codes 90000-93598 will only have access to mobile tickets and no paper tickets will be distributed. Non-local accounts with duplicate or similar contact information may be canceled without notice. Tickets purchased by persons that Pantages believes are purchasing solely for resale also may be canceled and refunded at any time. 20. Ticket limits. Pantages and the Producer shall be entitled, in their sole discretion, to implement ticket purchase limits on any basis, including without limitation per person, season ticket package or holder, credit card account, email address, billing address, season ticket account address or number, phone number, IP address, performance, show engagement, special event, or otherwise. In the event a person, including any season ticket holder, purchases more tickets than allowed under any applicable limit, Pantages and/or the Producer, each in its own discretion [and with or without notice to the purchaser], may revoke and issue refunds to the purchaser for those tickets purchased in excess of the applicable limit, and may revoke remaining season tickets and season ticket renewal privileges. Currently, season ticket purchasers may purchase a maximum of eight (8) season tickets, spread over no more than two (2) performance dates. Season ticket purchasers may also purchase a maximum of eight (8) additional single performance tickets, spread over no more than two (2) performance dates, for each show presented during the season. To address attempts to circumvent any such limit, Pantages may implement any necessary procedures for tracking ticket transfers and purchases. 21. Children. All persons entering the theatre, regardless of age, must have a ticket. Unless otherwise noted on the applicable show webpage at HollywoodPantages.com, children under five (5) are not permitted in the theatre. Some shows or events do have a different age policy than the standard theatre policy, so please check the show webpage before you attend. For the comfort and enjoyment of all guests, children who are disruptive to other guests will be asked to leave the auditorium. All sales are final, and no refunds will be allowed for removals due to disruption. 22. Accessible seating. Pantages strives to make it easy to purchase accessible seating tickets for all productions. To purchase such tickets, visit us online at HollywoodPantages.com or call us at 323-468-1782 and we will be happy to assist. Accessible seating areas are solely for persons with disabilities and their companions. 23. Disputes. If a dispute arises between you and Pantages, our goal is to learn about and address your concerns and, if we are unable to do so to your satisfaction, to provide you with a neutral and cost effective means of resolving the dispute quickly. Disputes that you may have with Pantages or the show’s Producer may be reported to Pantages by calling 323-468-1700. You and Pantages agree that all disputes, claims or controversies arising from or related to your season ticket package (including without limitation any individual performance tickets), or between you and Pantages or the show’s Producer regarding such matters, shall be resolved by binding arbitration on an individual basis. As an exception to this arbitration agreement, you may assert claims in small claims court, if your claims qualify and so long as the matter remains in such court and advances only on an individual (non-class, non-representative) basis. This arbitration agreement is intended to be broadly interpreted. The Federal Arbitration Act governs the interpretation and enforcement of this agreement to arbitrate. The arbitrator may award injunctive relief only in favor of the individual party seeking relief and only to the extent necessary to provide relief warranted by that party's individual claim. YOU AND PANTAGES AGREE THAT EACH MAY BRING CLAIMS ONLY IN YOUR OR ITS INDIVIDUAL CAPACITIES AND NOT AS PLAINTIFFS OR CLASS MEMBERS IN ANY PURPORTED CLASS OR REPRESENTATIVE PROCEEDING OR IN THE CAPACITY OF A PRIVATE ATTORNEY GENERAL. Further, unless both you and Pantages agree otherwise, the arbitrator may not consolidate more than one person's claims, and may not otherwise preside over any form of a representative or class proceeding. The arbitrator may award any relief that a court could award that is individualized to the claimant and would not affect other customers. Neither you nor we may seek non-individualized relief that would affect other customers. If a court decides that applicable law precludes enforcement of any of this paragraph's limitations as to a particular claim for relief, then that claim (and only that claim) must be severed from the arbitration and may be brought in court. All issues are for the arbitrator(s) to decide, except that issues relating to arbitrability, the scope or enforceability of this agreement to arbitrate, or the interpretation of the prohibition of class and representative actions above shall be for a court of competent jurisdiction to decide. The arbitration will be conducted by the American Arbitration Association (referred to as the "AAA") under its rules and procedures, including the AAA's Consumer Arbitration Rules (as applicable), as modified by this Agreement to Arbitrate. The AAA's rules are available at www.adr.org. The arbitration shall be held in the county in which you reside or at another mutually agreed location. If the value of the relief sought is $10,000 or less, you or Pantages may elect to have the arbitration conducted by telephone or based solely on written submissions, which election shall be binding on you and Pantages subject to the discretion of the arbitrator(s) to require an in-person hearing, if the circumstances warrant. In cases where an in-person hearing is held, you and/or Pantages may attend by telephone, unless the arbitrator(s) require otherwise. The arbitrator(s) will decide the substance of all claims in accordance with [applicable law/the law of the State of California], including recognized principles of equity, and will honor all claims of privilege recognized by [California] law. The arbitrator(s) shall not be bound by rulings in prior arbitrations involving different Pantages customers, but is/are bound by rulings in prior arbitrations involving the same Pantages customer to the extent required by applicable law. The award of the arbitrator(s) shall be final and binding, and judgment on the award rendered by the arbitrator(s) may be entered in any court having jurisdiction thereof. Payment of all filing, administration, and arbitrator fees will be governed by the AAA's rules, unless otherwise stated in this agreement to arbitrate. If the value of the relief sought is $10,000 or less, at your request, Pantages will pay all filing, administration, and arbitrator fees associated with the arbitration. Any request for payment of fees by Pantages should be submitted by mail to the AAA along with your demand for arbitration and Pantages will make arrangements to pay all necessary fees directly to the AAA. In the event the arbitrator(s) determine the claim(s) you assert in the arbitration to be frivolous, you agree to reimburse Pantages for all fees associated with the arbitration paid by Pantages on your behalf that you otherwise would be obligated to pay under the AAA's rules. 24. Inconsistency. In the event of any inconsistency between these terms and conditions and any terms and conditions on your season package invoice(s), brochure, or any Pantages website, then the provisions on the invoice, brochure or website provisions shall govern. No course of dealing by Pantages or the Producer, nor any failure or delay by Pantages or the Producer to exercise any right or remedy under or enforce any provision of these or any other applicable terms and conditions or any other applicable terms and conditions, shall operate as a waiver of any such (or any other) right, remedy, or provision. No waiver by Pantages or the Producer of any breach of any provision of any applicable terms and conditions shall be considered or constitute a waiver of any succeeding breach of the same or any other provision or a waiver of the provision itself. 25. Severability. Except as otherwise provided in paragraph 23 concerning arbitration, if any provision (or portion thereof) contained in these terms and conditions is found to be invalid, illegal, or unenforceable under applicable law (and that law is not preempted by federal law), that provision (in whole or in part) shall, to the extent necessary, be severable from these terms and conditions, and the validity, legality and enforceability of the remainder of these terms and conditions shall not be affected or impaired thereby.